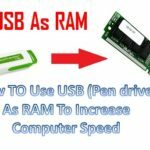 You want to share your computer’s internet connection with your mobile by creating or turning your laptop into a Wi-Fi hotspot then its very easy and you can easily share your laptop’s internet with your Android phone using by creating/turning on Wi-Fi hotspot on your Laptop. Turning your Windows 7, 8 or 10 Laptop into Wi-Fi hotspot is very easy. 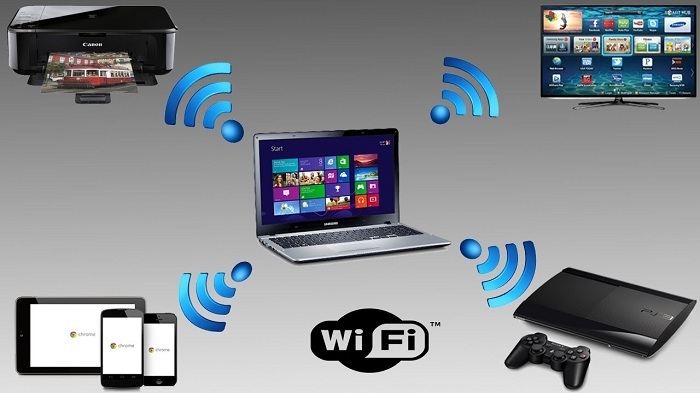 There are plenty of reasons for which one person wants to create Wi-Fi hotspot on his laptop, for example, your router does not support Wi-Fi signals and you cannot connect your devices such as smartphones with the internet at your home. Laptops and computers can be directly connected to the router with Ethernet cable but mobile devices cannot be connected directly to the router using Ethernet cable as there is no slot on mobile devices to connect to the router. Fortunately, there is a feature to turn your Wi-Fi adapter into Wi-Fi hotspot in windows 7, 8, 8.1 and 10. 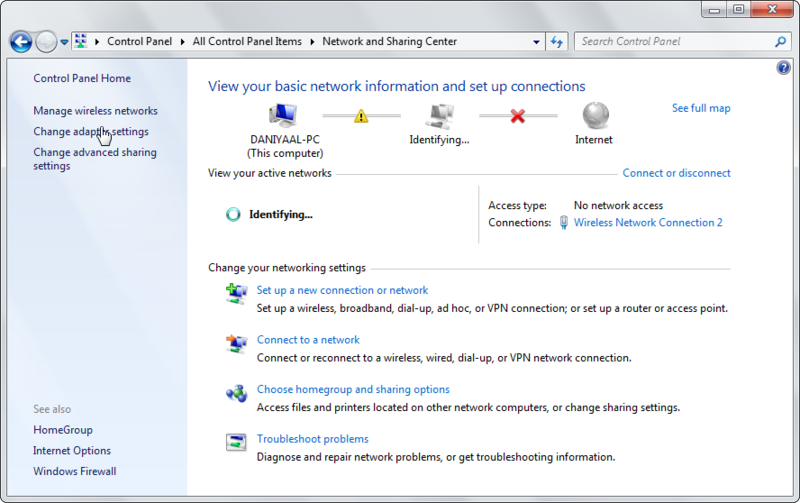 Although we can also use the Virtual Router to turn on Wi-Fi Hotspot on our laptops but using the built-in features of Windows are always best, don’t worry I will also describe how to turn on Wi-Fi hotspot using Virtual Router program but my first priority is the Window’s own features which are always best. CMD or say “Command Prompt” has always been one of the best features of the Windows, although it is a little harder to use it, as we have to remember many commands but believe me it is better and gives more features than just using the Windows interface. For using the command prompt to turn on Hotspot on your Windows computer first open the command prompt with Administrator privilege. For Windows 7: Click on Start button on your Windows 7 computers select All Programs the select Accessories and look for the Command Prompt, Right Click on the Command prompt option under the accessories and select run as administrator. For Windows 8, 8.1 and 10: Press Windows + R keys together to open the run utility on your windows 8, 8.1 or 10 computers type taskmgr in the RUN box and press enter key. Task Manager will get opened. 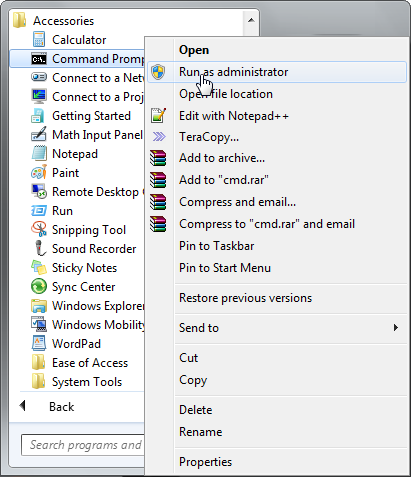 There click on the File at the left top corner and then New Task (Run…) a new RUN utility will open there type CMD and tick on the below box CMD will get opened with Administrator’s privilege. There are two simple commands which we will use to turn on Wi-Fi Hotspot on our Windows computer. 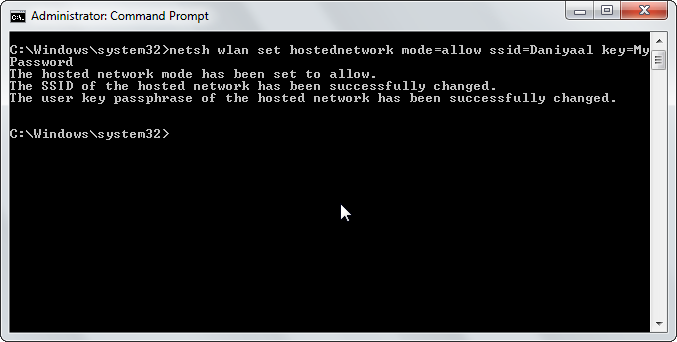 netsh wlan set hostednetwork : This command is used to enable or disable the Wi-Fi Hotspot networks, with a mode. Mode=Allow: This means you want to turn the Wi-Fi hotspot on, but if you replace the Allow with Disallow it means you want to turn off the Wi-Fi hotspot. 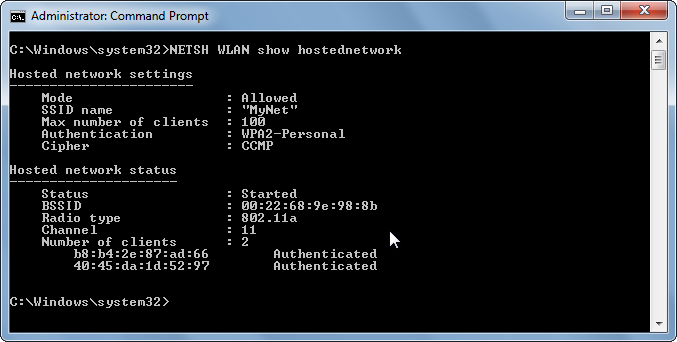 SSID=Network Name: You can replace the Network Name with any this which you want for example write your own name. key=Enter Password: Replace “Enter password” with your own password which you want. 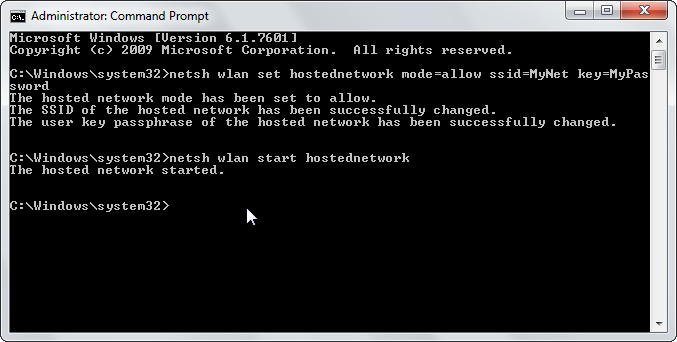 Now command prompt will inform you that your requested network has been created then you have to type the following command to activate the Hotspot network. By typing the above command your Wi-Fi Hotspot will be activated, but you have to complete just one more step. When you have successfully turned on the Wi-Fi hotspot on your laptop you have to share your current internet connection with hotspot so that hotspot can also be fully activated. Click on the network icon on the lower right corner of the screen and select Open network and sharing center option. OR go to the control panel and select Network and sharing center. Then click on the Change adapter settings option from the left menu. Right click on the network where you are currently connected to and select properties from the menu. Move towards the Sharing tab in the properties of selected network, put a tick on both the boxes like below picture in the dropdown select the newly created Wi-Fi hotspot network and click on the OK button. That’s it now your Wi-Fi network is fully ready and you can now connect your other devices with this hotspot network. Well, if you have enjoyed the hotspot and want to turn off the network then you will think how to turn this hotspot connection off so that someone cannot steal your internet. Open the Command prompt with the administrator’s privilege. 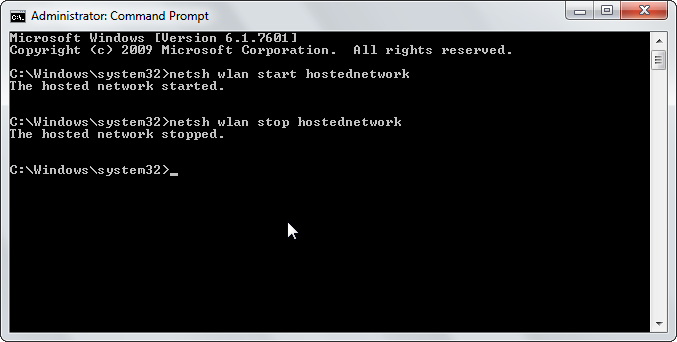 Type the below command in the command prompt and that’s it your Wi-Fi Hotspot has been turned off. 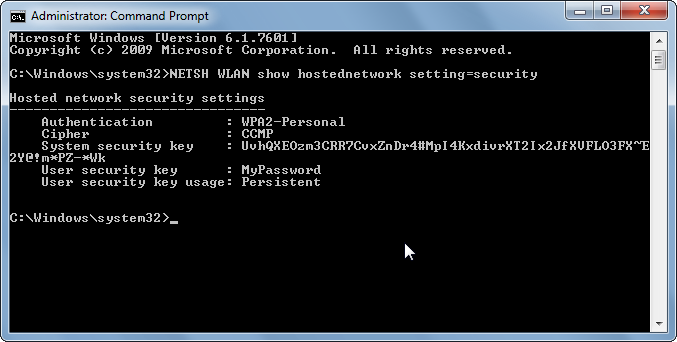 If you want to check the current settings and status of your newly created Wi-Fi hotspot network the command prompt has two commands for you which you can use to monitor the status of your network. Type the below command to find information about the mode of the network , your SSID name, max number of clients that can connect, type of authentication, and cipher. While the other command is to find the security key of your network by which you are currently connected or sharing the hotspot connection. A virtual router is a free desktop app for turning your Laptop into a Wi-Fi router. It supports almost all kind of laptops and all version of windows, however, I have tested this on Windows 7 and 8, but I am sure you can use this on Windows 8.1 and 10. Download the Virtual Router or virtual router plus on your computer. After downloading open the app enter SSID of the network you want to create and a password by which you want to secure the network. Turn on Wi-Fi on your smartphone where you want to use the internet and connect to the network easily. This is the best and simplest method to convert your Laptop into Wi-Fi hotspot. 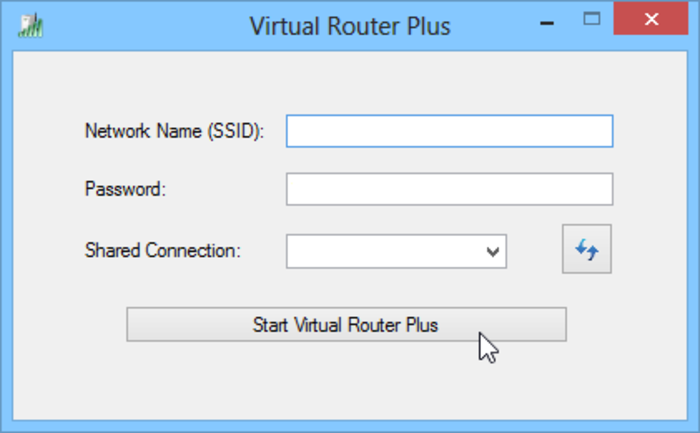 Virtual Router is a free open source desktop app. 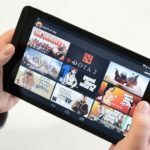 You do not need to install the app on your windows computer open the app and start using this. There is no background process not hassle of commanding using this too. These were some simple and easy methods to convert your Laptop into Wi-Fi hotspot with and without using any external software, I you like this then press the Facebook Like button below and share this with your friends.